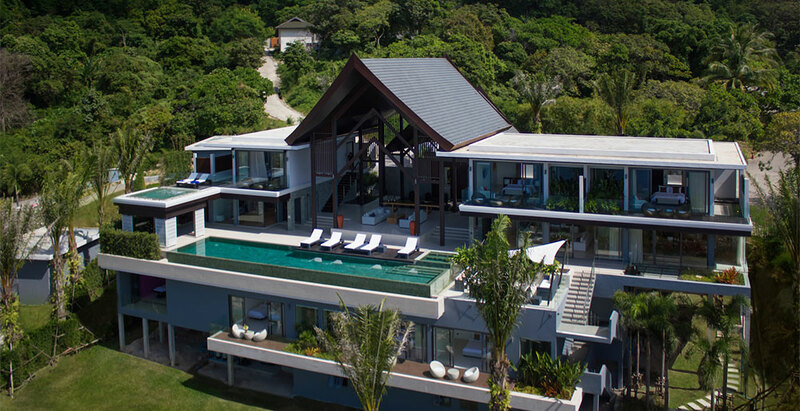 High above the ocean on Phuket’s west coast, every room at the stunning eight-bedroomed Villa Saan commands breathtaking views. The villa’s spectacular entrance, cool 19-metre infinity-edge pool, state-of-the-art home cinema and bar with pool table, well-equipped gym with spa bed will take your breath away too. All eight of the spacious bedrooms have ocean views from glass-fronted private furnished balconies, and the master suite boasts a sparkling jacuzzi. This villa is very suitable for corporate retreats, special celebrations and groups of friends joining together, with easy access to the neighbouring villa Samira.